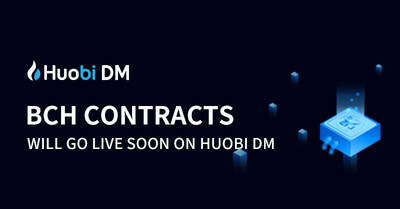 SINGAPORE, April 11, 2019 /PRNewswire/ -- Users will soon have even more flexibility and choices on Huobi Derivative Market (Huobi DM). Bitcoin Cash (BCH) service will go live tomorrow on the crypto asset contract platform and two more coins are scheduled to be launched before the end of May. Inclusion on Huobi DM means traders will be able to take both long and short positions on BCH, allowing for arbitrage, speculation, and hedging. Since 2017, Bitcoin Cash's value has fluctuated between $75.08 and $4,355.62.